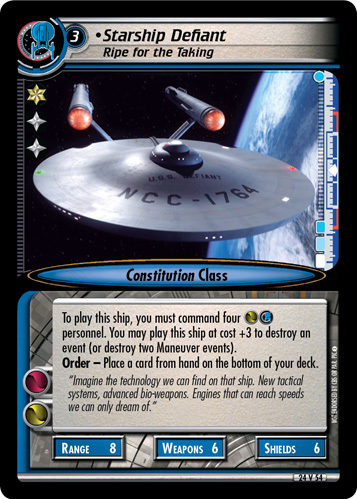 Commander: Starship Defiant. 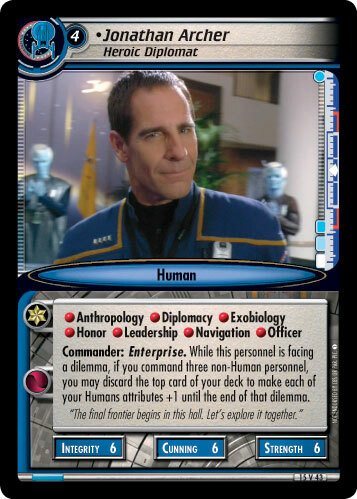 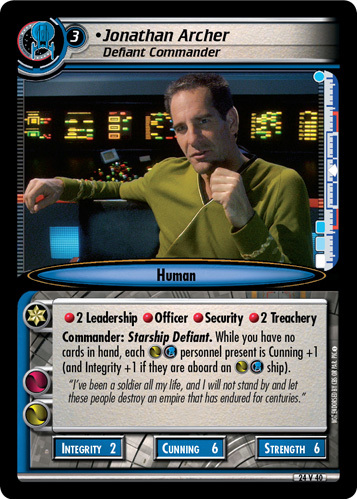 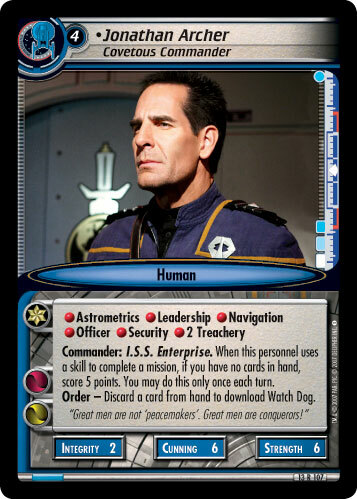 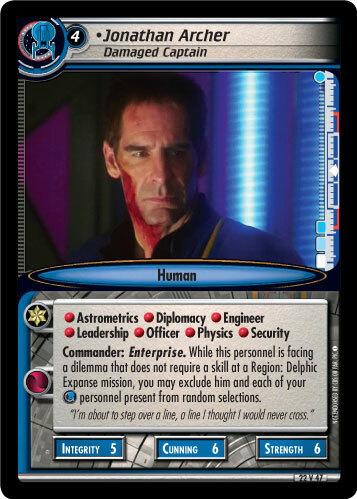 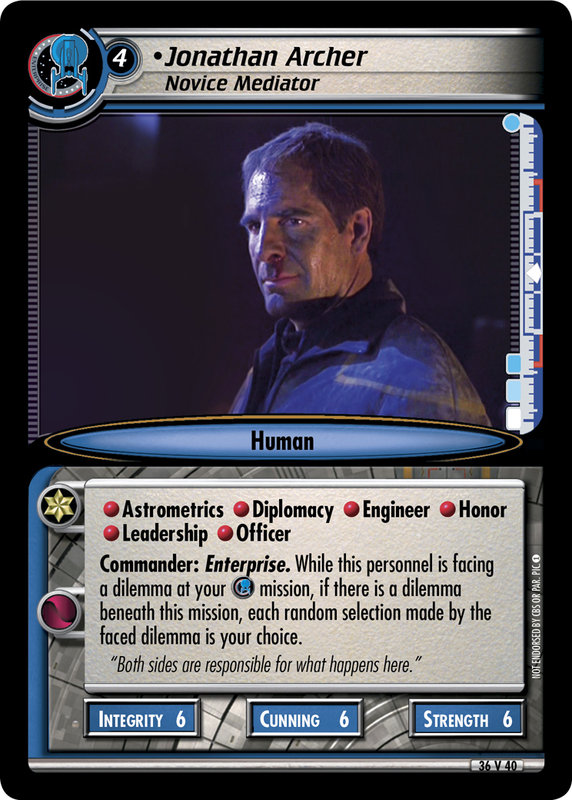 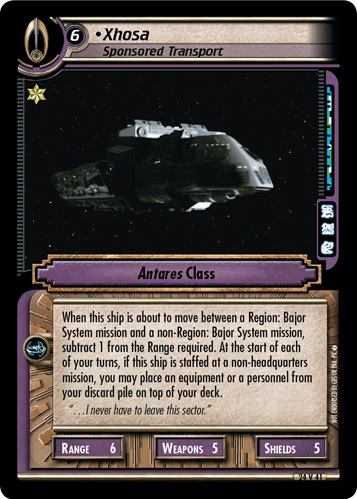 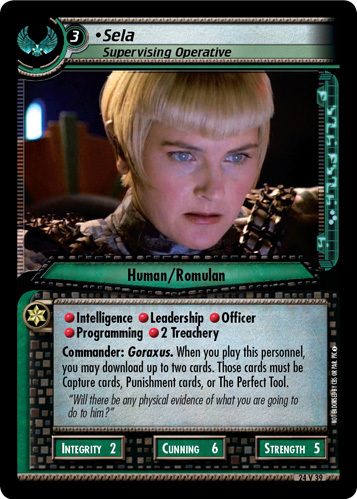 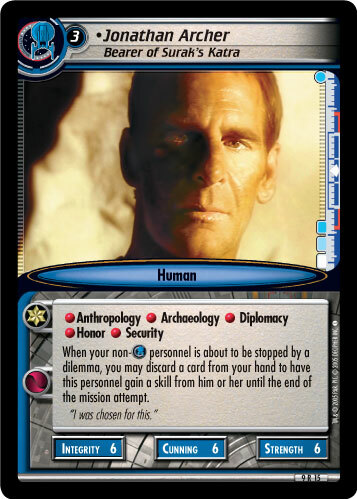 While you have no cards in hand, each personnel present is Cunning +1 (and Integrity +1 if they are aboard an ship). 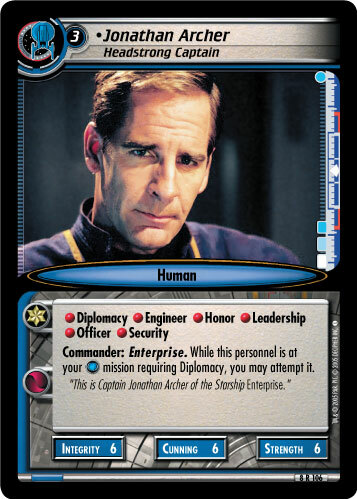 "I've been a solider all my life, and I will not stand by and let these people destroy an empire that has endured for centuries."